Beautiful creek and park like setting along the water. Gazebo and wood fire oven waiting to be enjoyed. 10.23 acres of land with the stream. 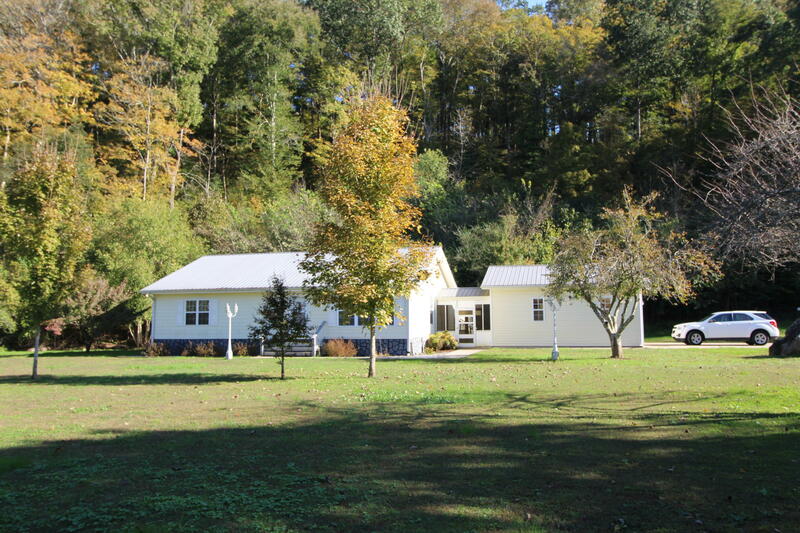 Home has three bedrooms and two full baths, Large Great room open to kitchen and dining area. Home also has a working garage if someone wants to work from home., 2400 sq ft. with a 10 x 12 roll up door. Two separate electric meters for business and home. 800 Sq Ft garage with breeze way to home.